I left out the fringe and I didn’t have the courage to single crochet around. I was just so tired of it! 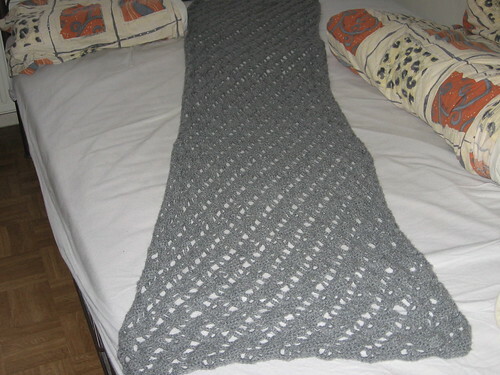 What a lovely shawl. I really like the grey color.